The 3 year old NFL concussion litigation has helped spread a floodlight over NFL issues on the field and off the field. Former players, medical researchers, NFL executives, equipment manufacturers, lawyers and media all have told the story and become part of the story. Today we create the Pro Football Concussion Litigation Hall of Fame. Dedicated to the people, places and things that have made this story so compelling. Our first inductee is rheumatologist Dr. Elliot Pellman, former New York Jets team doctor, head of the NFL’s MTBI committee 1994-2007, and current NFL Medical Advisor. At the heart of every concussion lawsuit filed seeking damages from the NFL was the story of Dr. Elliot Pellman. According to one article, his name appears 26 times in a lawsuit that contends the NFL concealed a link between football and brain damage. 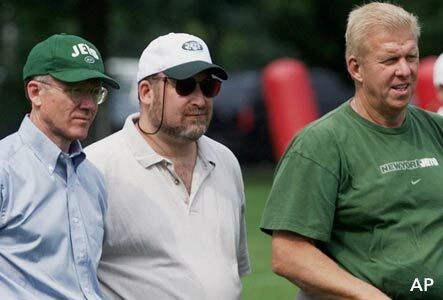 Pellman led the NFL’s Mild Traumatic Brain Injury Committee from 1994 to 2007. That position instantly made Pellman one of the most powerful voices on brain injuries in sports. He was the lead author in 9 different studies about brain injuries and football. Unfortunately, Pellman is not a neurologist. He is a rheumatologist and at the time of his appointment as head of the MTBI, his education and background in brain injuries was limited to his work and experiences as the Jets team doctor. The most glaring issue with Pellman are his lack of qualifications to have been selected and paid to chair such an important organization, and to have maintained that position for 13 years. Questions about his resume, his relationship to the man who apparently single-handedly appointed him, his past work with the N.Y. 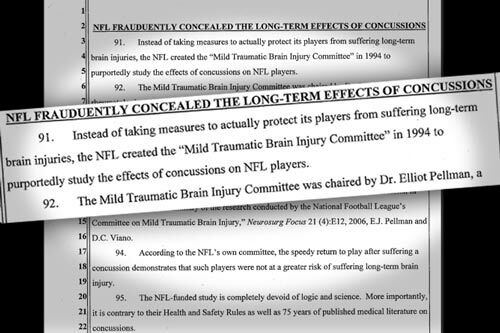 Jets, and his authorship of scientific papers about football and brain injuries all surfaced during the litigation. According to the Patrick Hruby piece, The Wrong Man for the Job, Pellman continued to be the league’s “Medical Director” in 2013. This piece seems to be taking a natural turn to the next inductee in the Pro Football Concussion Hall of Fame, Paul Tagliabue. More later.